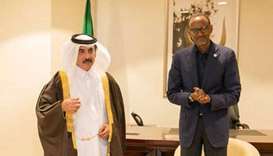 His Highness the Emir Sheikh Tamim bin Hamad al-Thani has sent a written message to Rwanda President Paul Kagame, pertaining to bilateral relations and means of boosting them. 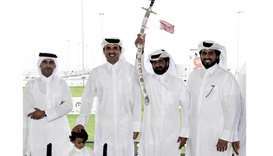 His Highness the Emir Sheikh Tamim bin Hamad al-Thani will patronise on Monday evening the official inauguration ceremony of Qatar National Library (QNL) which has a total capacity of 1.2mn books. 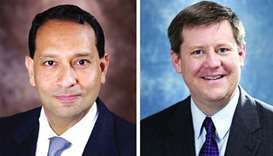 The economic forum, which coincided with the visit of His Highness the Emir to the US, forms part of the US economic facilitation tour that covers a number of US cities. 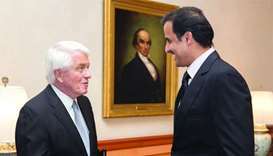 His Highness the Emir discussed with them means to develop the strategic Qatari-American ties as well as other regional and international matters of mutual interest. 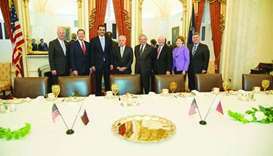 His Highness the Emir Sheikh Tamim bin Hamad al-Thani on Wednesday met HE US Senate Republican Majority Leader, Senator Mitch McConnell, at the Congress headquarters in Washington, DC. 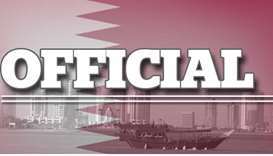 His Highness the Emir said there are more than 650 US companies operating in Qatar and the volume of trade between Qatar and the United States has reached $125bn. 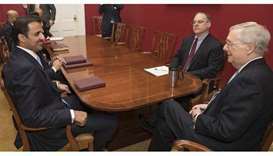 The Cabinet on Wednesday welcomed the results of the official visit of His Highness the Emir Sheikh Tamim bin Hamad al-Thani to the US. 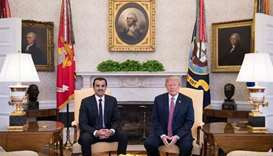 His Highness the Emir explained that Qatar cooperates with the United States of America to stop the funding of terrorism around the region. 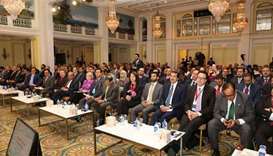 The Qatar-US Economic Forum started on Tuesday in Washington DC, coinciding with the visit of His Highness the Emir Sheikh Tamim bin Hamad al-Thani.